Can you believe Thanksgiving has come & gone already!? Last weekend after we were done with all of the Thanksgiving festivities and family left town we started decorating for Christmas right away! You guys should see my mom and I decorating the house...every decoration has to be perfect and in the right place and every ornament on every tree (we have 5, lol) has to be placed just right! We LOVE this time of year and always get so excited about decorating for it! Anyway, I am loving this skirt! The tie detail in the front is adorable and such a cute feature! It would also be cute paired with black tights when it gets cooler outside! 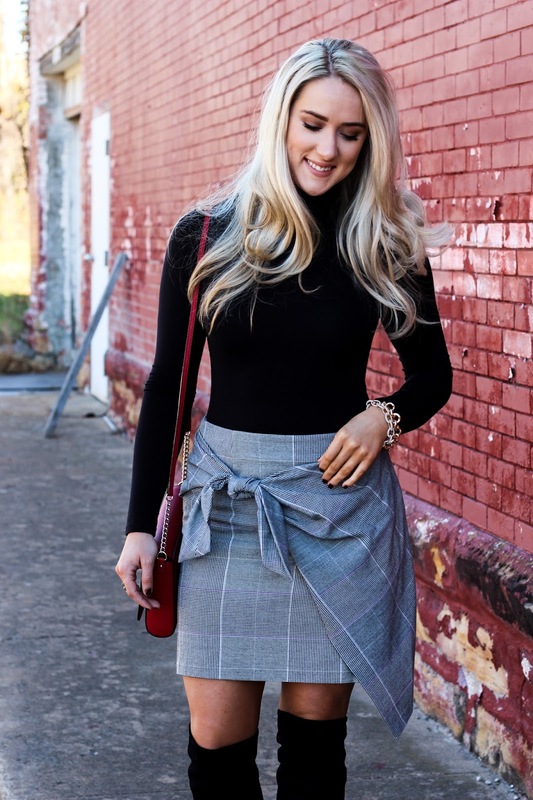 This skirt also comes in black! 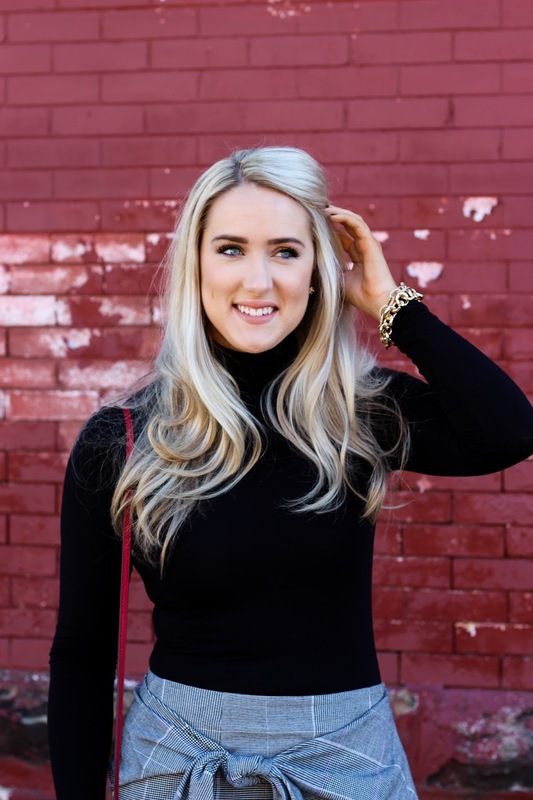 Its perfect paired with this black turtleneck! 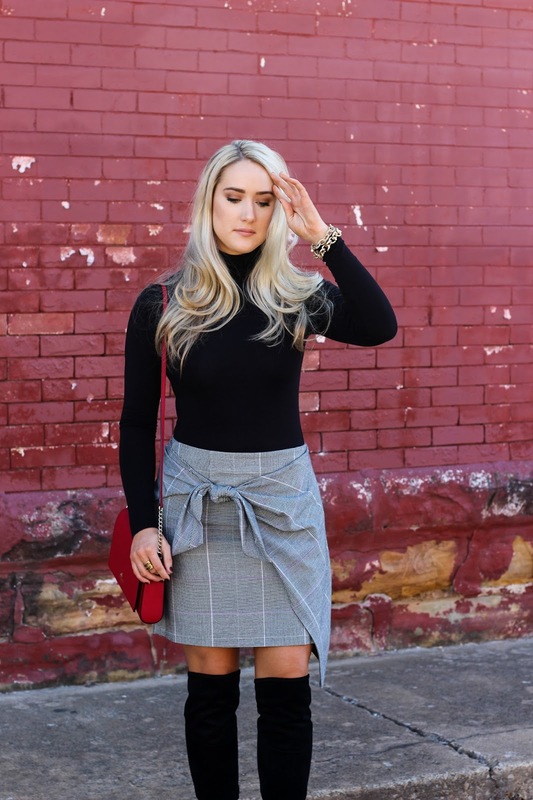 Turtlenecks are one of my favorite things to wear in winter, especially fitted ones that you can wear under vests & sweaters! 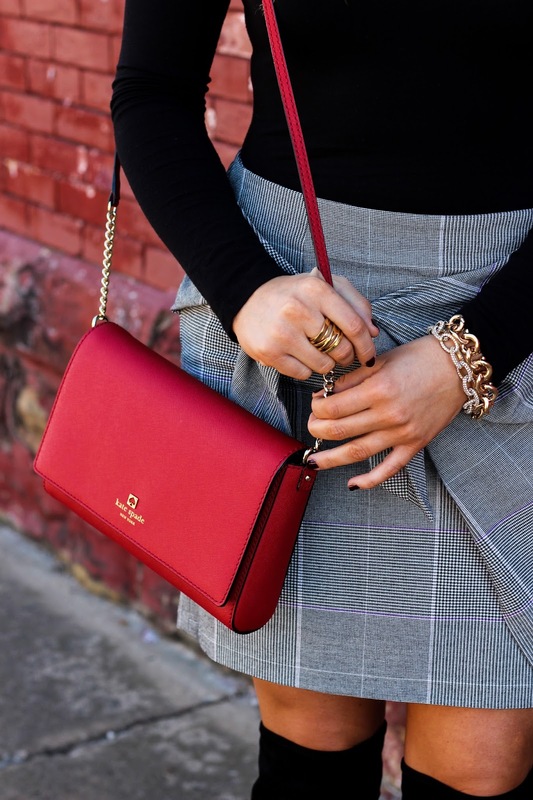 I added a little pop of red with my crossbody to give it a little holiday flare!